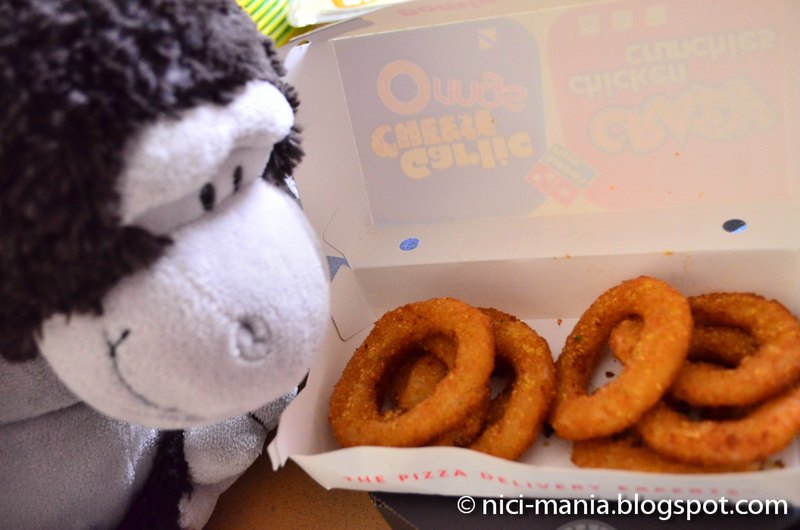 Today is a lazy Saturday afternoon and Milo Gorilla is lazy to go out. 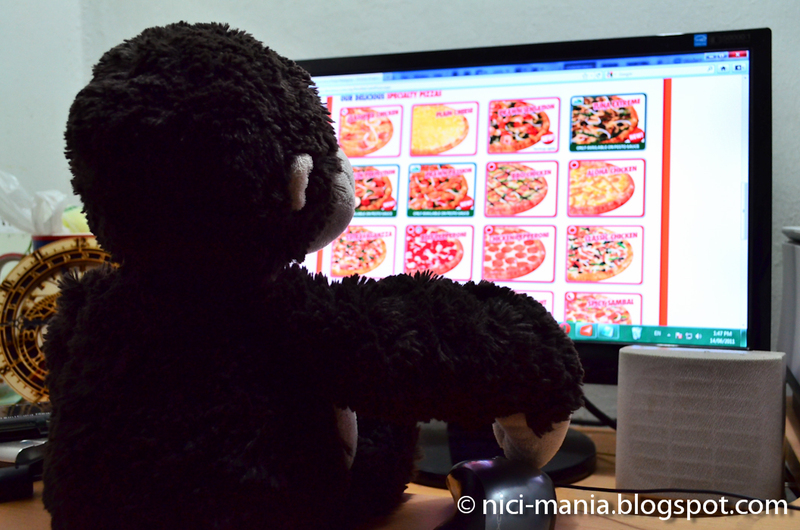 So he decides to order Domino Pizza delivery. 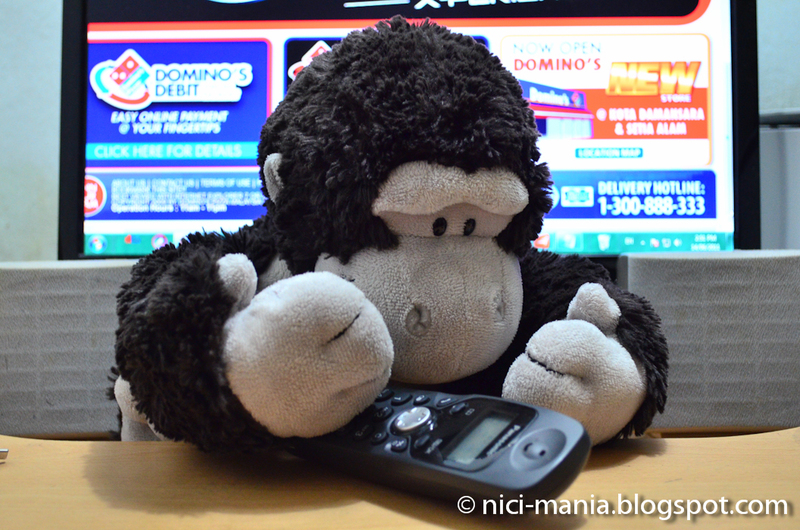 The wide array of choices at Domino's Pizza menu made Milo Gorilla very hungry..
Milo Gorilla picks up the phone and dials the Domino Pizza delivery hotline 1-300-888-333, within 5 seconds the operator picks up the phone. She was extremely friendly and patient with our order, a 5-star service definitely! She recommended the X-Men first class value meal but it doesn't come with chicken wings, so she offered us a custom value meal that comes with the chicken wings. We were ecstated! 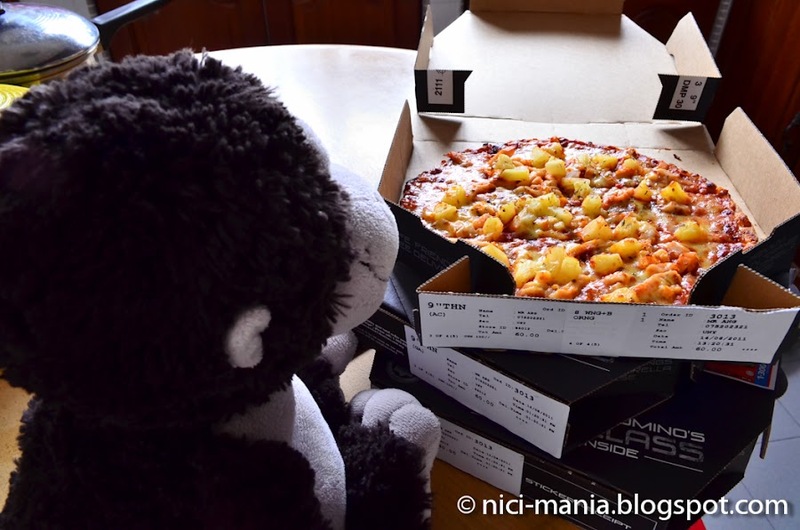 Milo Gorilla was told that it is 1:20pm now and the pizza will be delivered in 30 minutes, if they fail to do so we will get a Domino Pizza voucher! 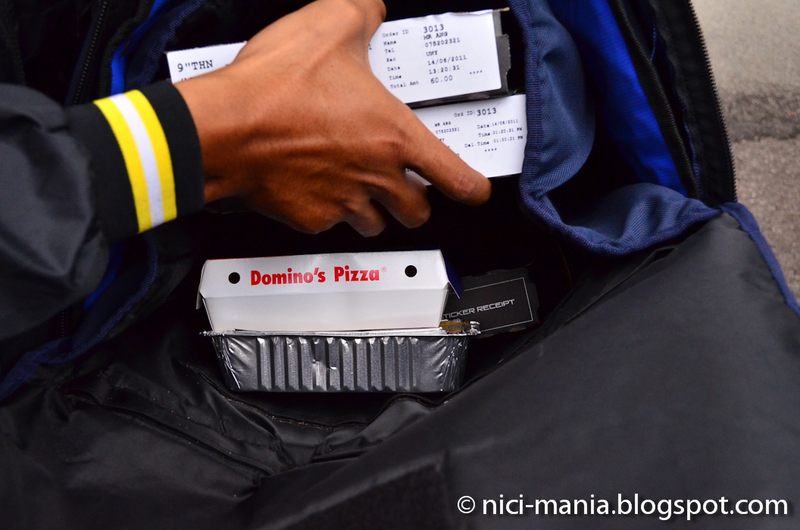 The friendly Domino Pizza delivery man came with our piping hot pizza! Milo Gorilla pounced on him but he was extremely amicable and didn't mind taking a photo with Milo. 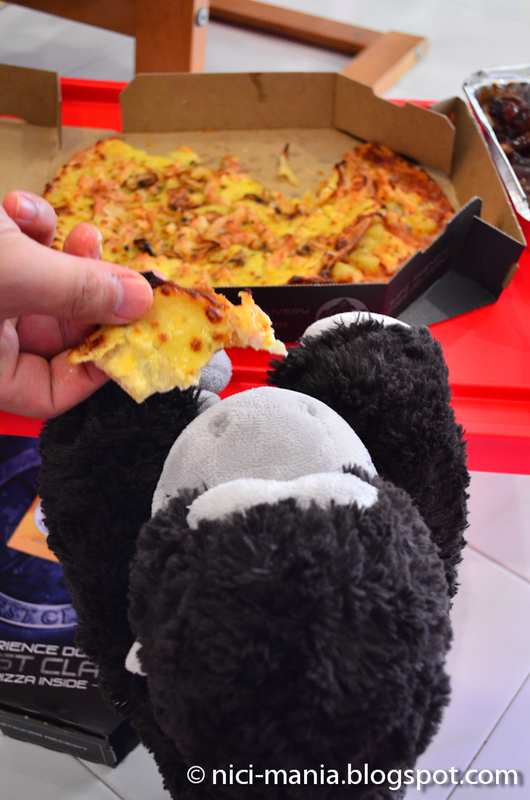 He should get a big fat bonus from Domino Pizza for being such a nice person. There was only our order in the Domino Pizza delivery bag, 30 minutes to cook the pizza, prepare and deliver. It was mad rush hour for them! 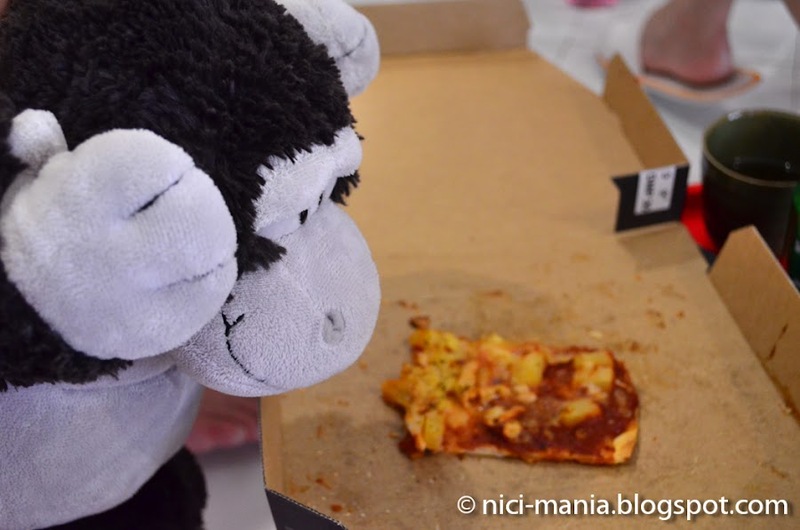 Can you tell Milo Gorilla already can't wait to eat the pizza and other goodies? 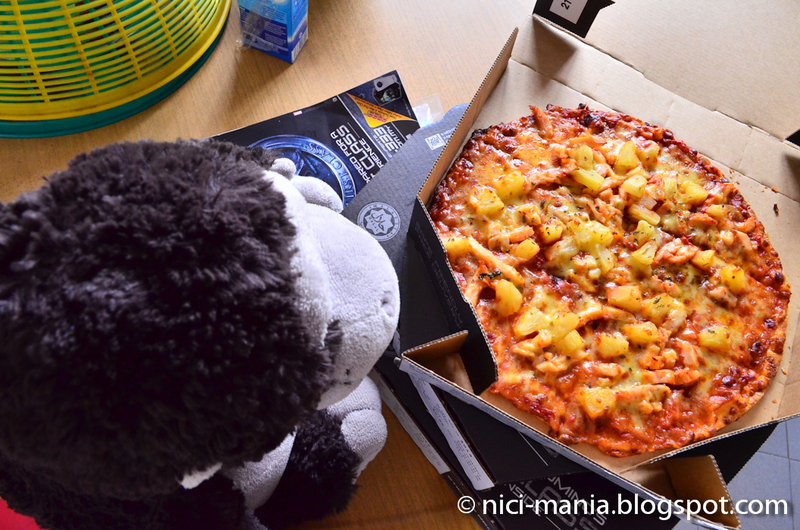 The first box pops up and the classic Hawaiian Chicken pizza glazed upon Milo's hungry eyes! 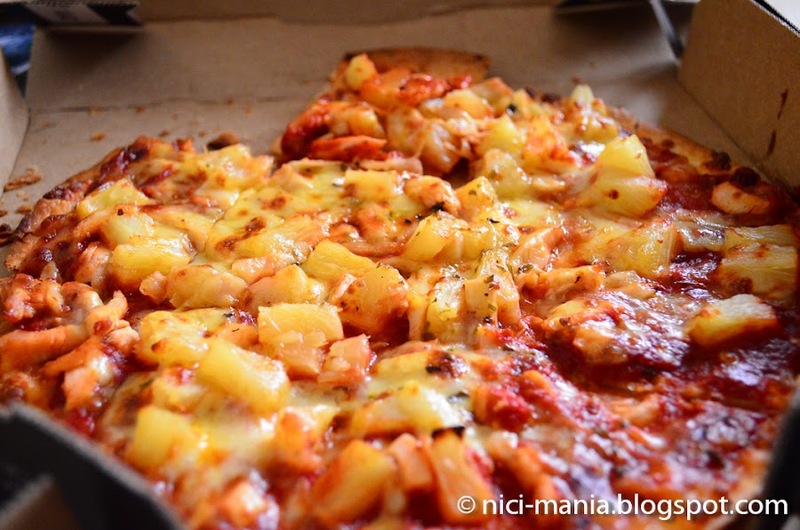 Domino pizza calls it Aloha Chicken instead of Hawaiian Chicken but its the same thing. The other pizza is the Classified Chicken. Rich mozzarella cheese taste that overwhelms your taste bud! That is the pizza the Domino operator introduced us. 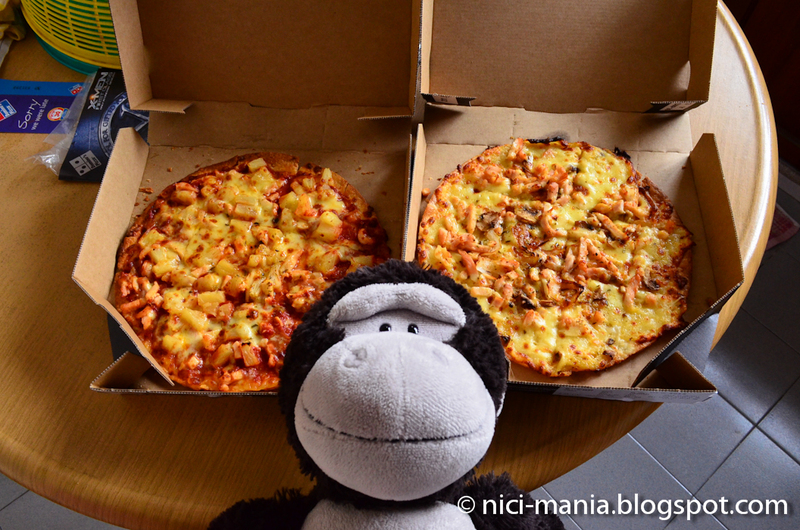 Milo Gorilla looks like he can finish both the Aloha Chicken pizza and Classified Chicken pizza! There are 4 types of pizza crust to choose from. We ordered Crunchy Thin Crust which is the best! 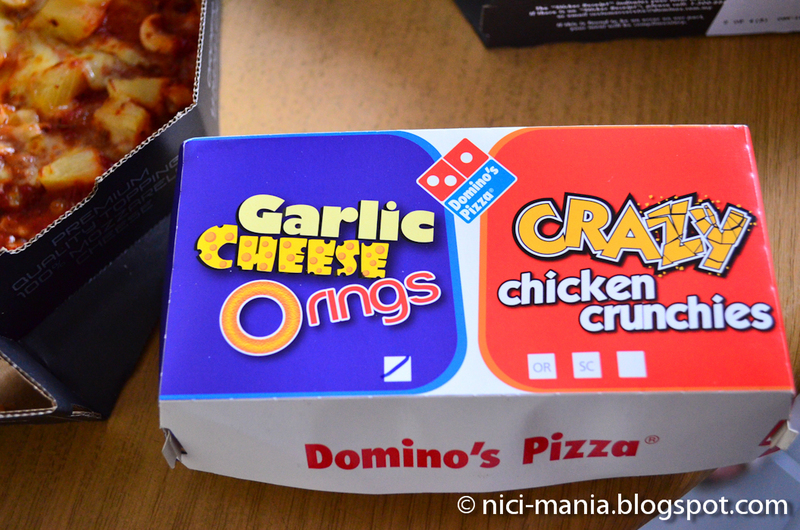 The Classified Chicken pizza is a new flavor from Domino Pizza. 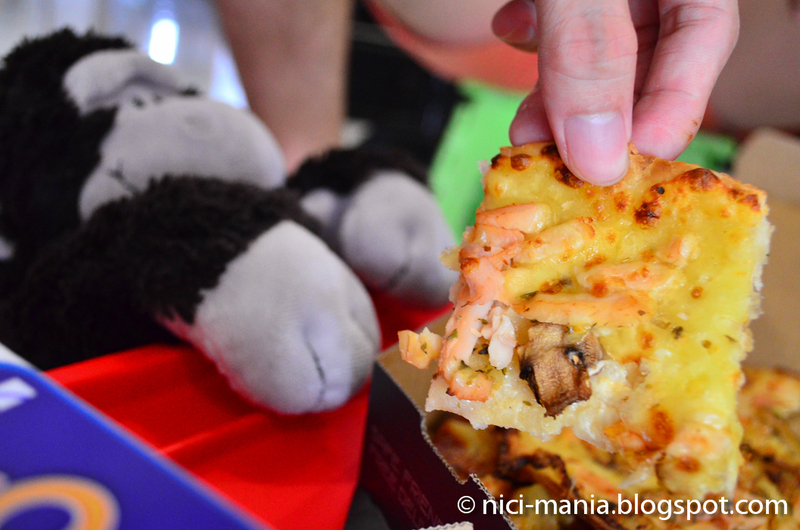 Its taste so full of mozzarella cheese that you actually can't taste anything else. For cheese lovers like us, you will adore this pizza! What's in this colorful box? 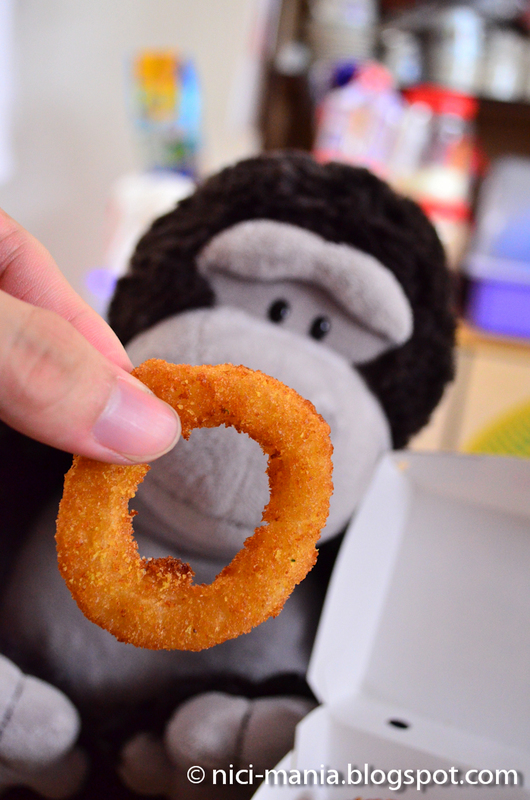 Look Milo, this onion ring is as round as your gorilla face! 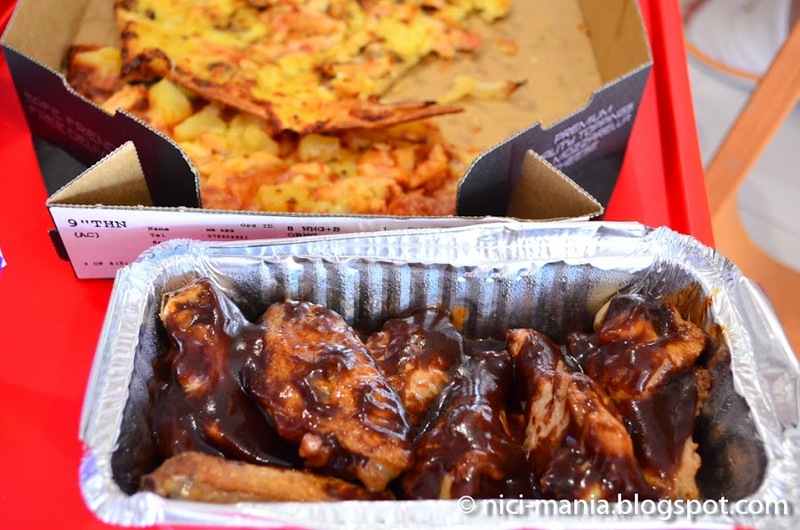 Let's peep into the BBQ sauce chicken wings! 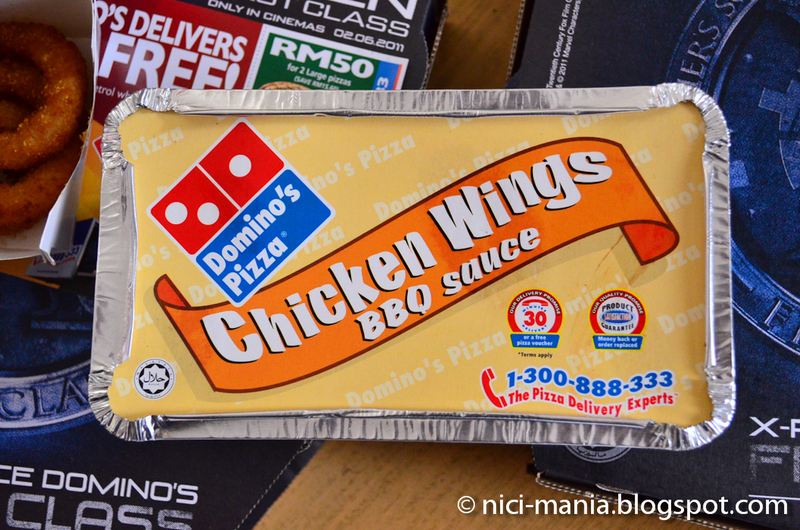 This was quite a disappointment from Domino Pizza, they threw a stash of bbq sauce onto the already cooked chicken wings. There are 3 flavors of chicken wings to choose from, bbq sauce, hot & spicy or plain chicken wings. They just put those flavors on top of the plain chicken wing and call it another flavor. 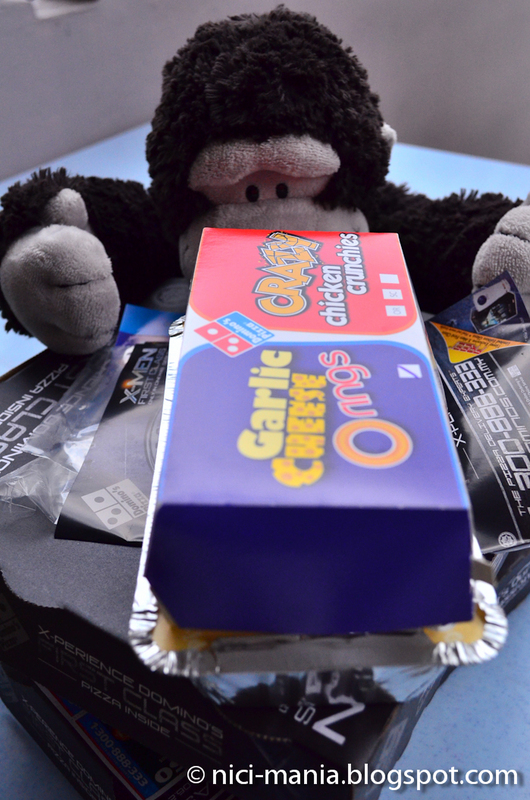 Milo the hungry Gorilla's feeding time! 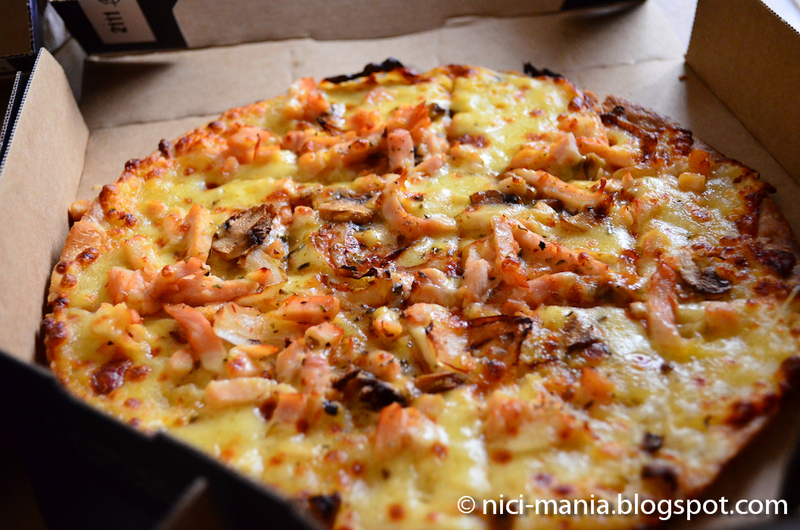 Look at the cheese on the Classified Chicken pizza! 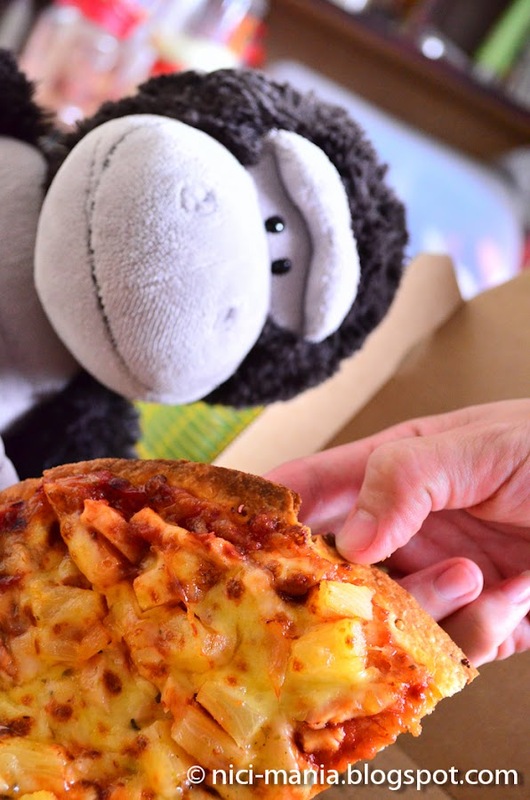 We will definitely re-order this flavor again together with the Aloha/Hawaiian Chicken pizza. Only one last piece of pizza left! We ate too fast and forgot to leave some for Milo. 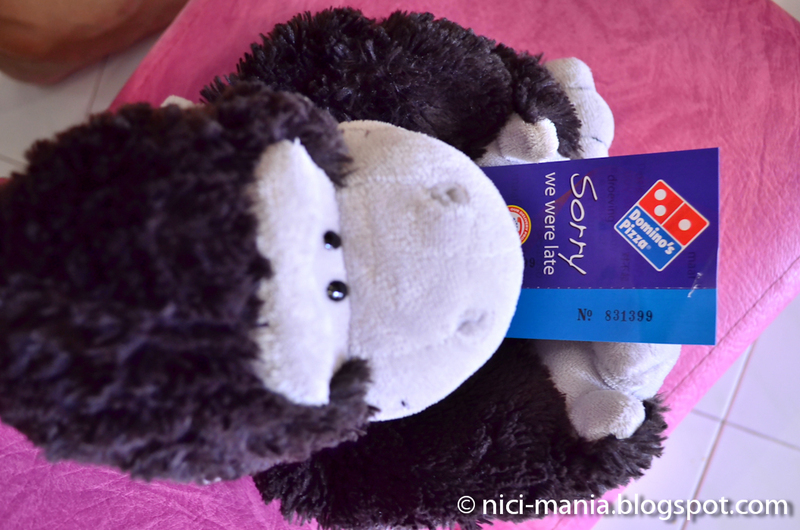 Don't worry Milo, you got a voucher from Domino Pizza. The friendly delivery man gave us a coupon as he was late for a mere 3 minutes. We told him he wasn't considered late but he insisted we ought to get the voucher. How cool is that? 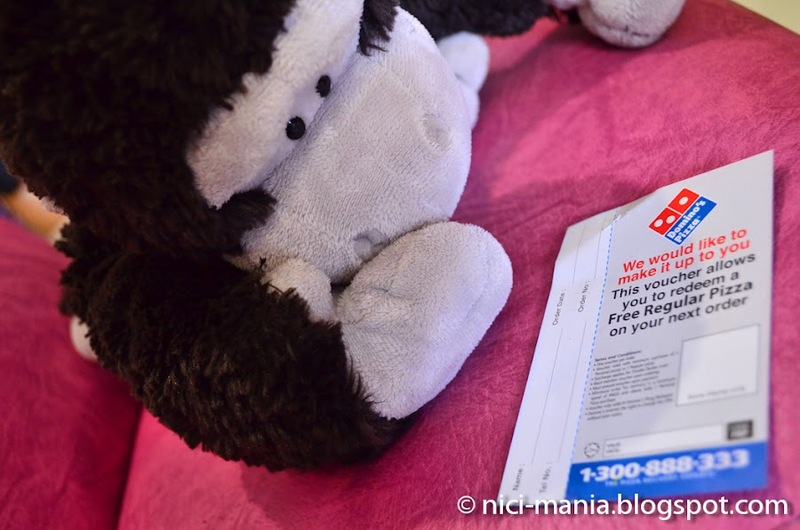 This voucher allows you to redeem a free regular pizza on your next order, the only condition is you have to at least purchase a regular pizza to get the free pizza. Not too hard isn't it? Domino Pizza offers free delivery for all purchase. No Extra Charge and they really mean it. We got our value meal for RM60 nett. 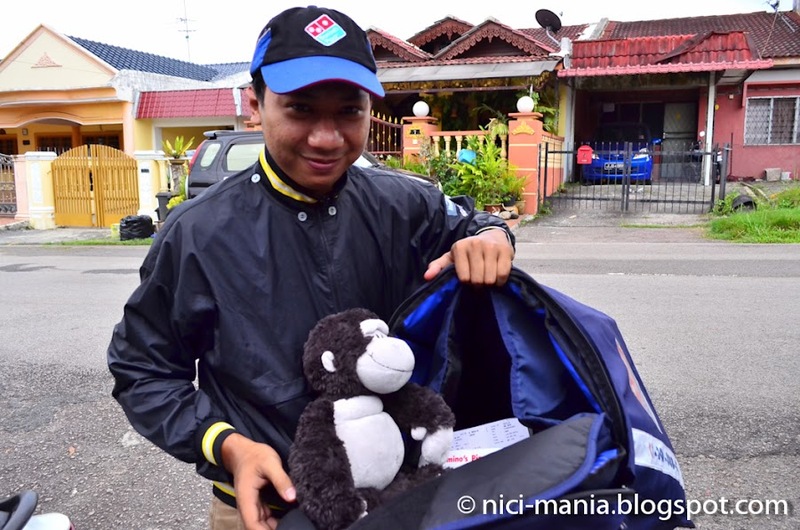 Domino Pizza is our favorite pizza delivery company in Malaysia, they are friendly, fast and provide first class service. 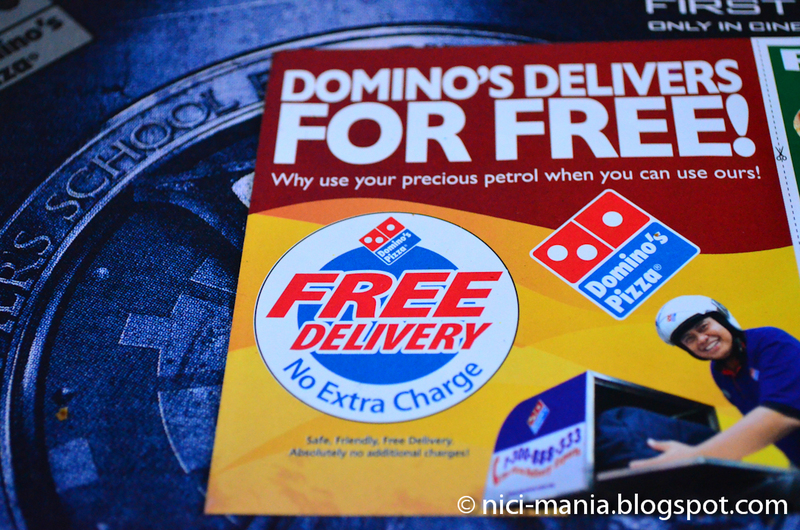 Domino's pizza toppings are much more generous than Pizza Hut, no contest at all. Yummy! 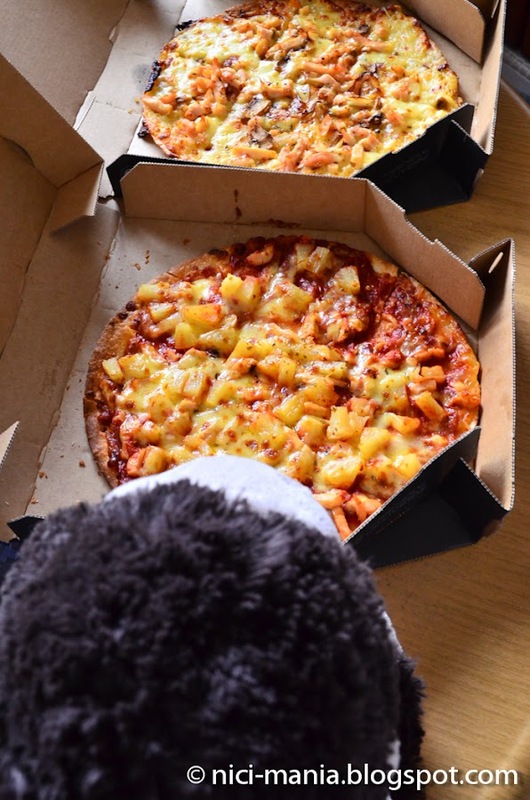 We love pineapple on our pizza too! This was a really good and helpful article for me to read. I really have enjoyed all of this very cool information. This was great.